Víctor is the Director of LAANE’S Long Beach Hospitality Campaign, the Long Beach Coalition for Good Jobs & A Healthy Community. 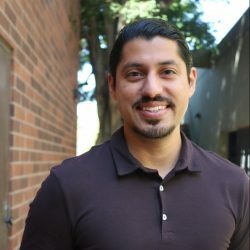 Previously he conducted research with the USC Program for Environmental and Regional Equity (PERE)/Center for the Study of Immigrant Integration (CSII). He previously was with the AFL-CIO in Boston, working on immigration and community engagement initiatives. He also served as President of the U.S. Student Association in Washington, D.C, organizing for greater affordability and expanded access into higher education. Victor holds a Master of Public Policy (MPP) degree from USC and a B.A. in Sociology and Latin American & Latino Studies from the University of California, Santa Cruz.